Unnng! Yes that's what I thought as well. 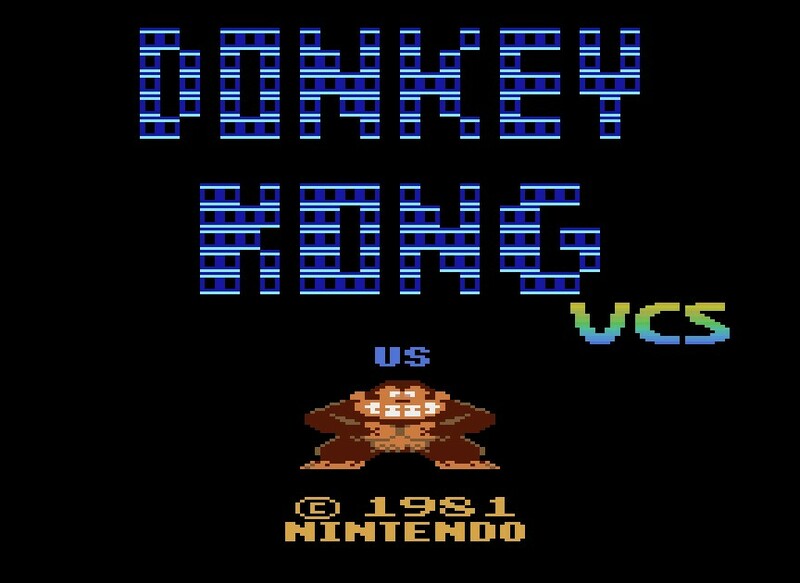 At the time, Donkey Kong on the 2600 was sure as hell better than spending quarter after quarter in the arcade but let's be honest - it sucked! Not casually, but on an almost Pac-Man level of suckage here. Two Levels of awful leaving you to hope maybe, just maybe, there'll be another level if I grind enough - Nope! Now after 30 years is the game that could have been. Well not really as the cartridge would have been 32k and likely cost more than the console, but this is an impressive feat to say the least. Pretty impressive wizardry going on there, I think I would have wet myself if that's the game that came home with me back in the 80's. You can download the rom and play it to your hearts content using the fantastic Stella emulator.